Having diabetes is a pain in every sense of the word. It’s inconvenient and troublesome and it causes literal pain. Pricking fingers to take glucose readings and injecting insulin are bothersome enough to get to anyone after a while. Scientists at the Institute of Industrial Science at the University of Tokyo are working out a new way to monitor blood glucose levels that could eliminate part of that pain: they are working on implantable glowing glucose monitors. 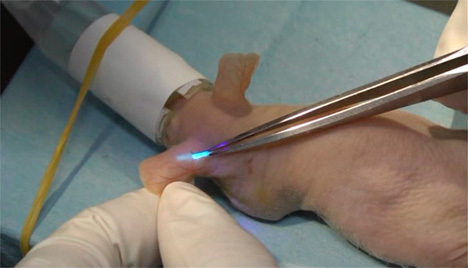 The monitors will be implanted just under the skin; at a small 1mm in diameter, it can be injected with very little pain and easily removed with tweezers. It is sensitive to changes in blood glucose levels and will glow if the blood sugar level spikes suddenly. Instead of monitoring blood sugar with small drops of blood, diabetics can simply glance at their implanted monitors to see if they are still in the safety zone. 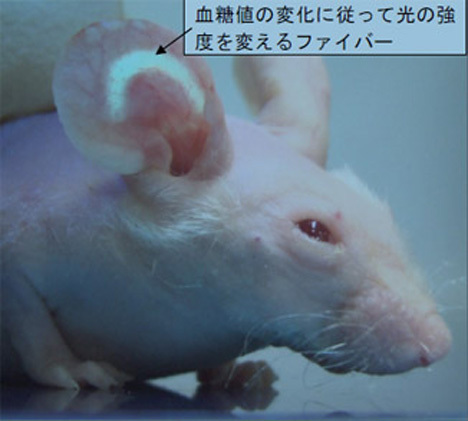 So far, the implants work reliably for 140 days in mice. In the future, diabetes conventions will have the best after-hours parties as all of the attendees light up after a few drinks. See more in Medical Marvels or under Science. September, 2011.